Malcolm is a rock climbing buff with a desire to use his love for the outdoors to connect with men. Leah is a baking and sci-fi nut who loves to include other women in her geekiness to help them accept how God made them. 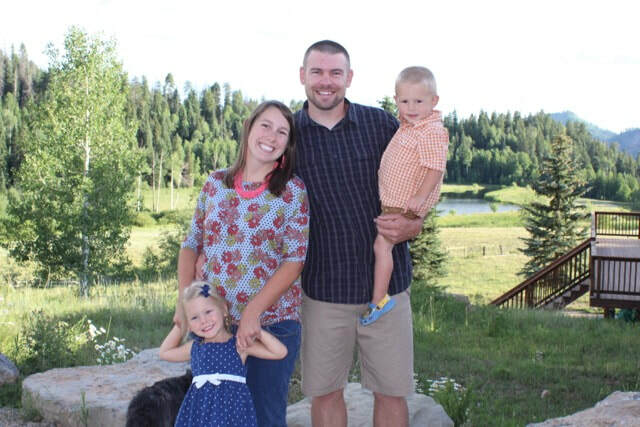 Since their marriage in June 2011, the Hillewaerts have combined their forces to further the Great Commission in Durango, CO, at Fort Lewis College. Though they seem opposite in their hobbies, their goal in life is exactly the same - whatever they do, to do it all for the glory of God. God has gifted them with Ruth, John and Baby Zeke (due to arrive in December 2018). Give to the Hillewaert's ministry securely online using your credit or debit card by clicking the "Donate" button above. This will take you to our Paypal giving page. All gifts to Master Plan are tax deductible. You will have the option to make a single donation or designate your gift amount as a recurring donation charged to your card each month in whatever amount you choose. On our Paypal giving page, you may log into your Paypal account before you submit your gift. This will enable you to adjust any recurring gifts through the Paypal website should the need arise in the future. If you don't have a Paypal account, you will be able to make a gift as a guest.